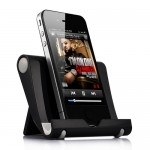 Universal Portable Multi-Angle Stand for iPhone iPad - Black, Gadget Stop - For all of your phone and Apple needs! Press the button on the side of the plastic hinge and easily turn it to the angle you like! 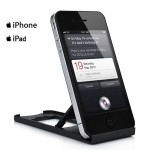 Sixteen angles are available, from the very upright angle for displaying iDevice, to the 45°for watching videos and slideshows, to the 135°tilting angle for typing and browsing the web, and to the 225°in which you rotate the back stand up as a support and the deck flats on the table. The plastic hinge houses a gear wheel so that when you hold down the side button, you have 16 angle choices by rotating the gear. 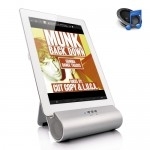 This portable stand can be used for many tablets, mobile phones and gaming devices. 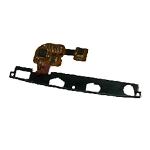 The main body is made of high quality plastic. Rubber (grey) is used to avoid slipping and enhance the supporting stability. 16 angles are provided due to the plastic gear wheel. Other tablets and mobile phones that may fit. 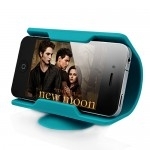 Accessory only, for iPhone / iPad not included!